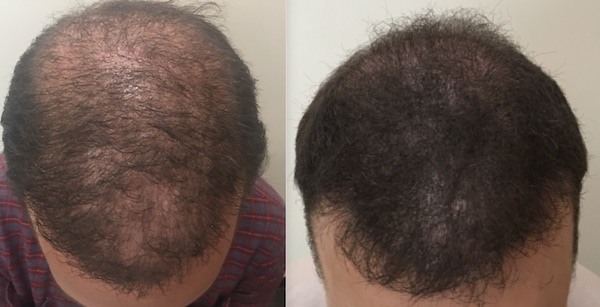 Scalp Micropigmentation (SMP), also known as trichopigmentation, is a revolutionary new cosmetic procedure performed at Parsa Mohebi Hair Restoration to improve the aesthetic appearance of a patient’s scalp using dermal pigments. SMP can imitate the look of a close shaved head or blend in with the patients’ natural hair when the appearance of more fullness is desired. The procedure is relatively non-invasive and is usually performed without anesthesia. Who is A Good Candidate for SMP? 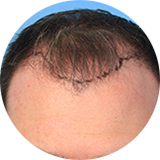 Scalp Visibility after Hair Transplant: Men or women who had a hair transplant in the past but still have some scalp visibility due to thinner hair and a large area of baldness. This condition is known as donor/recipient mismatch. Donor/recipient mismatch is when the amount or volume of donor hair a patient has cannot provide adequate coverage for the entire balding area. Female Hair Loss: Women who have typical female patterned baldness and are not good candidates for a hair transplant. These patients don’t have sufficient permanent hair anywhere in the scalp that can be transplanted. Most of these women are dependent on either microfibers like Toppik or a hair system. SMP can minimize the contrast between their hair and scalp and create the illusion of fullness. Shaved Head: Men with male patterned baldness who decide to shave their head and don’t want the typical balding horseshoe pattern to be visible. SMP can create the appearance of a full head of hair in these men. SMP can create the appearance of short hair stubbles that mimic a full head of hair. Scalp Scar: Men or women with scalp scars due to trauma, surgery or a previous strip hair transplant that now are planning to shave their head and want to get rid of the visibility of the scars. Other Types of Hair Loss: Anyone with any type of hair loss who wants to improve the appearance of the balding area. Examples are skin conditions such as Alopecia Capitis, Alopecia Areata in the head and face, Alopecia Cicatricial or post radiation hair loss. At Parsa Mohebi Hair Restoration, we use depth precision and superior artistic skills in crafting the most natural looking results for people who are bald or who have thinning hair. 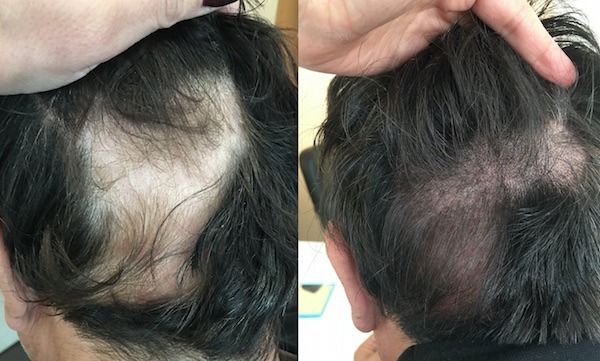 SMP can create a close shaved look in patients where the patterned baldness at the front and crown is noticeable by using dermal pigments matched to the patients’ hair color. The procedure can also produce the look of more hair density in patients who have thinning hair by minimizing the visibility of the scalp. This eliminates the need for microfiber products such as Toppik which, while effective in filling out one’s hair, are messy and comes off easily. The results are great and have improved my confidence. I honestly can't imagine being any happier with my hair transplant - plain and simple.